Kočevska has been experiencing varied and unusual historical events for centuries. 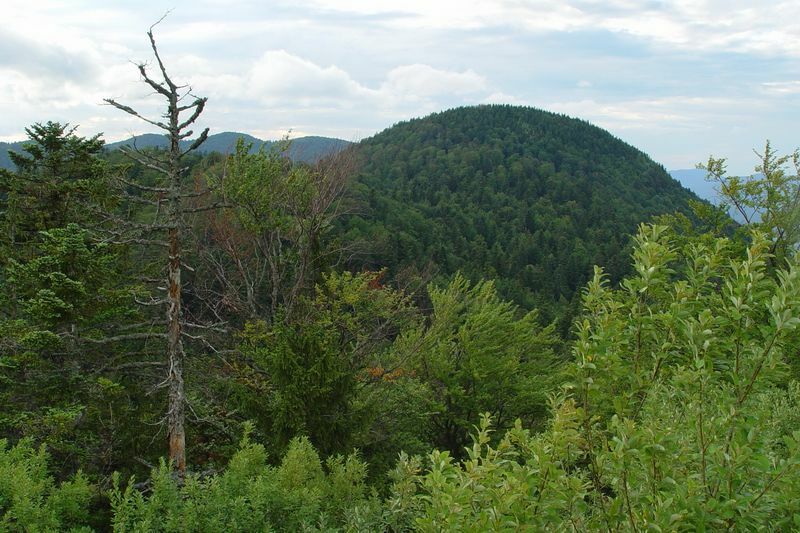 Due to the remoteness, vast forests, harsh climate, karstification, water shortage and poor soil fertility, the Kočevska region stood derelict as a powerful, inaccessible virgin forest until the 13th century. For more than 600 years this area had been inhabited by German-speaking population – Gottschee Germans, who at the beginning of 1941/42 emigrated. Depopulated landscape was suitable for the development of the partisan movement. After the end of WW2, post-war killings took place in the area. Between 1949 and 1990 nearly one quarter of the municipality fell under so called »Closed area« Kočevska Reka. Kočevska is marked by special historic events. As a result of its remoteness, vast forests, harsh climate, karstification , water shortage and poor fertility of the whole Kočevska area, a powerful, inaccessible virgin forest was left to its natural process until the 13th century. In the 1330s the Counts of Ortenburg populated Kočevska with rebellious German farmers. Due to geographical remoteness and isolated landscapes »Kočevarji« preserved their traditions, costumes and language and passed them on from generation to generation and remained a German linguistic and cultural island in the middle of the Slovenian ethnic territory for more than 600 years. Kočevje was first mentioned in the 1363. During the Turkish incursions, theinhabitants moved their settlement to a safe meander of the underground stream Rinža and surrounded it with walls. In 1471, the settlement was granted the city rights. In 1418, Kočevje with all Gottscheer lordship came under the auspices of the Counts of Celje. After the extinction of the Counts of Celje, they fell under the Habsburgs’ regime. In 1641, the owners of the Kočevsko dominion became the Counts of Auersperg, who built mighty castle in the middle of the city. The residence was praised by Valvasor. In 1791, the Emperor Leopold elevated the prince of Kočevska to the Duke and his estate to the Duchy. Due to the sparse karst land which could no longer maintain the rapidly growing rural population, the locals tried to look for extra sources of income in the manufacturingre of wood products and peddling. The Emperor Frederick III granted the right to freedom of woodware peddling to inhabitants of Kočevje in 1492. Initially, they traded their homemade wood products, livestock and canvas, and later mainly citrus fruits, sweets, candies and roasting chestnuts. Due to the difficult economic situation during 1857-1941 more than a half of 23,000 residents emigrated, mostly to the United States of America. At the beginning of the Second World War, Kočevska was occupied by the Italians, so the leadership of the Gottscheer Germans decided to relocate. In the winter of 1941-1942, 11,509 people from 176 villages moved. After the war, the Kočevje inhabitants suddenly lost their homes and homeland after the post-war authorities denied them to return to Kočevska. In the autumn of 1943, Kočevska became the centre of the liberated territory, and the city of Kočevje became the place of the first Slovenian Assembly of Delegates in the then Sokol home, today’s Šešek home???. Rural areas were often crossed by various military regiments which inflicted a lot of damage on the depopulated Gottschee villages. Most of damage was caused by the Italian offensive in the summer of 1942. The majority of the villages in the Kočevski Rog were burned down during that time. After the end of the Second World War, Kočevski Rog became a mass grave for thousands of soldiers. Most of the mass executions in Slovenia occurred between May and July of 1945 (in particular, returned or captured at home, home guards and prisoners from other former Yugoslav republics) and then in January 1946 (Germans, Italians, collaborators and suspects of anticommunism from Slovenia). The Constitution of FPRY was adopted during that time and the Department of National Security (OZNA) left the regulation of concentration camps to the Ministry of the Interior. However, individual secret executions still occurred later. Inn Slovenia there are hundreds of large and small graves from the 1945-1946 period, many of which have not been studied or marked yet. Now the multitude of graves is symbolized by the abyss below Kren in Kočevski Rog and Teharje. The Slovenian authorities assigned Kočevska a special role after the war. 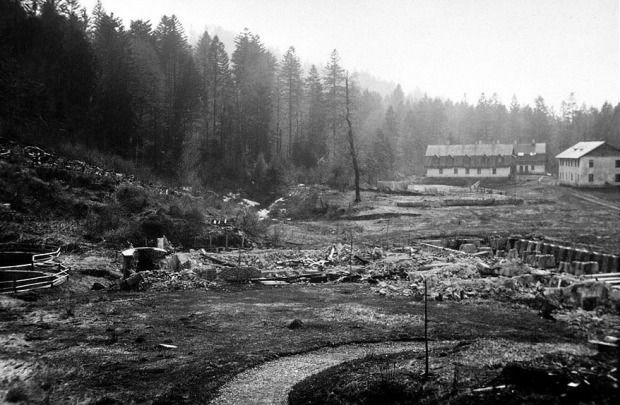 Due to national and economic reasons the new government did not allow the reconstruction of demolished and burnt Gottscheer villages. The government even deliberately destroyed their cultural heritage. After the war ended, Kočevska replaced almost all of its population. It was inhabited by the new residents from all over Slovenia and former Yugoslavia. Extensive areas of Kočevska remained empty. In 1948, Yugoslavia came into conflict with the Soviet Union (Informbureau). At first, there was a threat of a new war. This led to the establishment of a project that provided protection of top management in Yugoslavia and in the individual republics. The most appropriate abandoned area in Slovenia was the Gotenica-Reka plateau, because it offered a quick retreat to central Bosnia or to the sea and onwards in case of an attack. Kočevska is a scarcely populated and wooded land located on the outskirts of Slovenia, offering many options of concealing the newly constructed buildings. The terrain proved to be well-chosen, since the construction of bunkers in the wall of the village was planned. In this way, each meter in the pit depth quickly obtains protection in height. The highest point of 90 meters wasenough to create a protection against the most powerful explosions. The works were completed in 1958. It was a system of underground network of corridors with many chambers and rooms. The underworld contained everything from the surgical and X-ray rooms, cinemas, offices, bedrooms, kitchen, dining room, boiler room, etc. The house has kept the constant temperature of 18°C. This was provided by the furnace and ventilation system. The bunker harboured 100 leadership members. In summer of 1991, the Slovenian Government adopted the law which opened the closed area of Kočevska Reka. Today, the Slovenian Police force owns the training and supply centre in Gotenica.